Aphids are the bane of my gardening experience, chewing through everything I've ever loved and cared for (and everything I wanted to chew on myself). You know I'm uncomfortable using toxic things on not only my food, but in the environment in general, and I'm always looking for organic, non-toxic bee friendly solutions. 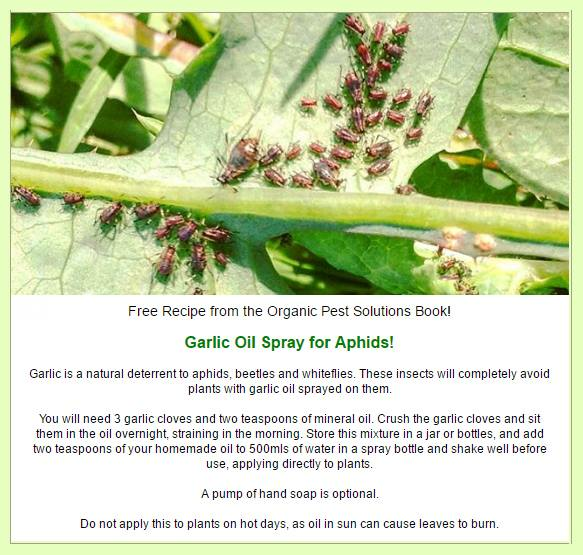 The following recipe is the one I've found most effective for aphids and soft bodied plant bullies. My newsletter also has a competition where two people will be able to win a free copy. There's a sign up sheet in the sidebar. Do you have any DIY non toxic pesticides you swear by? Leave them in the comments!